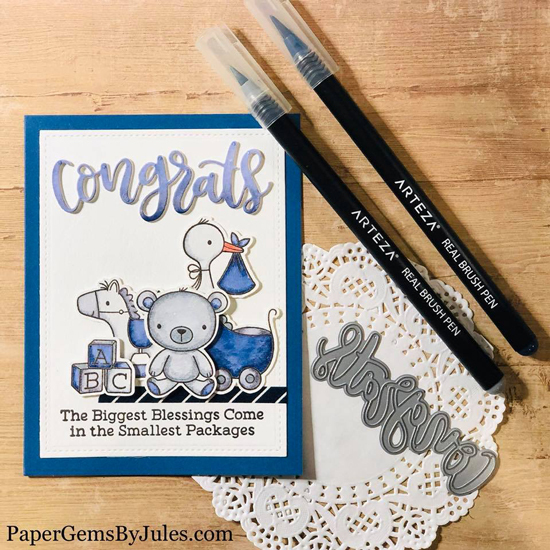 Julissa combined the large Congrats Die-namics with the images from the Hello, Little One stamp set to create a darling baby card perfect for a new bundle of joy! She went with a monochromatic color palette that can easily be substituted for a baby boy or a baby girl. 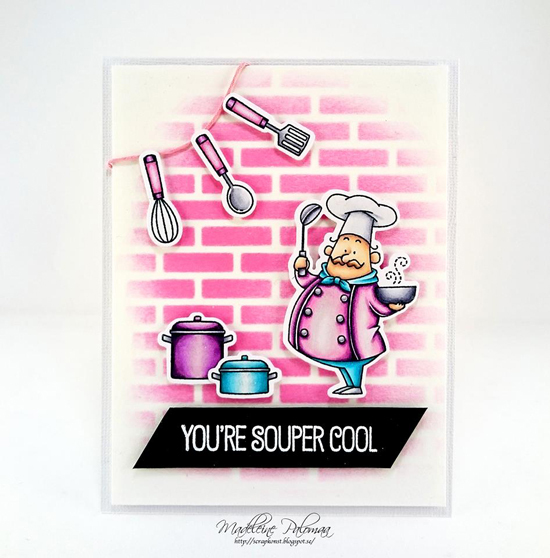 We adore the unexpected color combination that Madeleine used on her chef-inspired card. The vibrant pinks, purples, and blues are are a stunning mix of colors that really make her images pop on her design. The added brick background adds interest while perfectly complementing the rest of her scene. 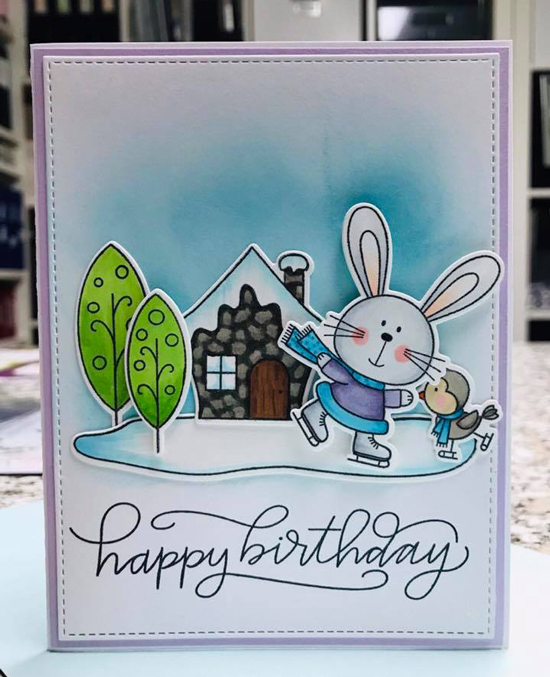 Kay created an adorable winter scene featuring the You Make My Heart Spin stamp set and designated it a birthday card rather than a holiday card, making it a great choice for those celebrating their birthdays on the winter months. Lisa designed a fun and festive scene by combining images from multiple stamp sets and making them all work together. 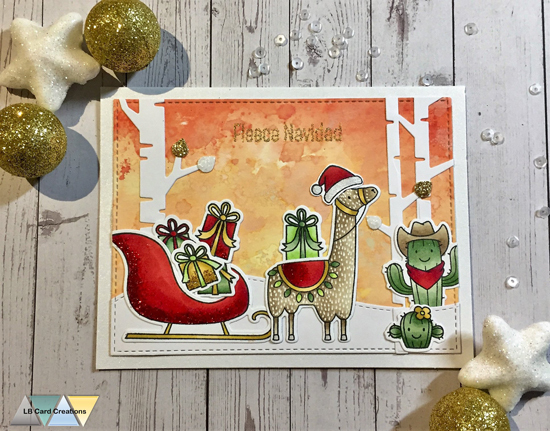 We love the unexpected elements from the llama pulling a sleigh full of presents to the cacti nestled in the snow hills. 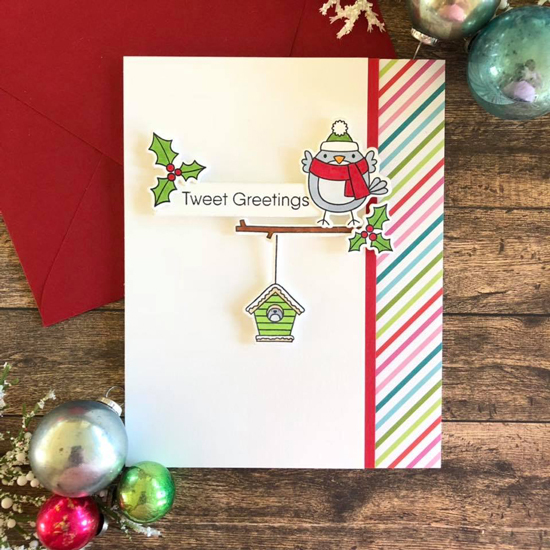 Dana created a holiday scene featuring the Tweet Holidays stamp set and used various images from the set to design her festive layout. The striped patterned paper adds a fun, colorful border to her card while the foam adhesive under all of the elements adds amazing dimension. 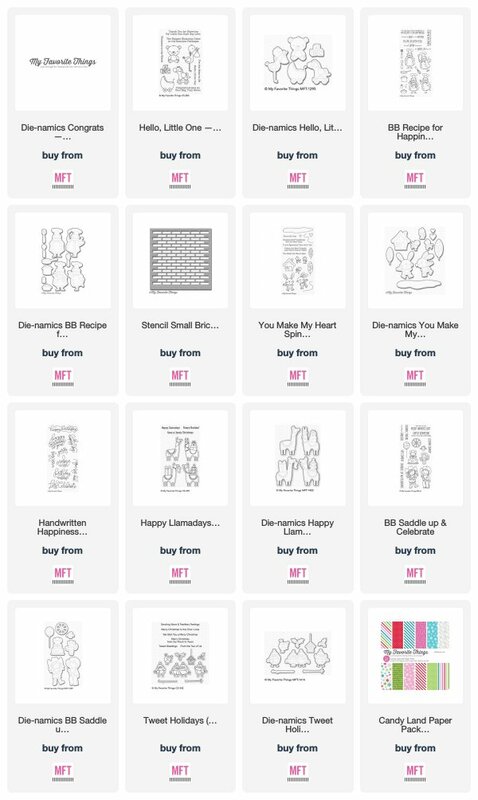 Awesome cards, I especially love the llama Christmas delivery system!